I get quite a lot of PM's about this project because I started this thread but i'm NOT the 'designer' of this great EQ, Igor is. He also took care of the great boards and other stuff so for questions regarding this EQ, please ask in this topic and please don't PM me about it. hardware bypass, balanced THAT I/O, MS, power supply - at one PCB! I probably go for DOA's in the IO board, what parts should i leave out? There are some resistors that are on the side of the DOA square. In case of DOA, solder these parts from bottom. Forssels have very short pins for example. holes are smaller than Harwyn pins from Farnell you probably going to use..
Possible to put them on opamp then solder over the pads, this way you can have opamps in socket. I'm about to order caps and some other stuff, are there any particular type/brand caps that have proven to be the best sounding ones in the sontec? Will WIMA's be a good choice for the poly's? Yes, Wima's are just fine. 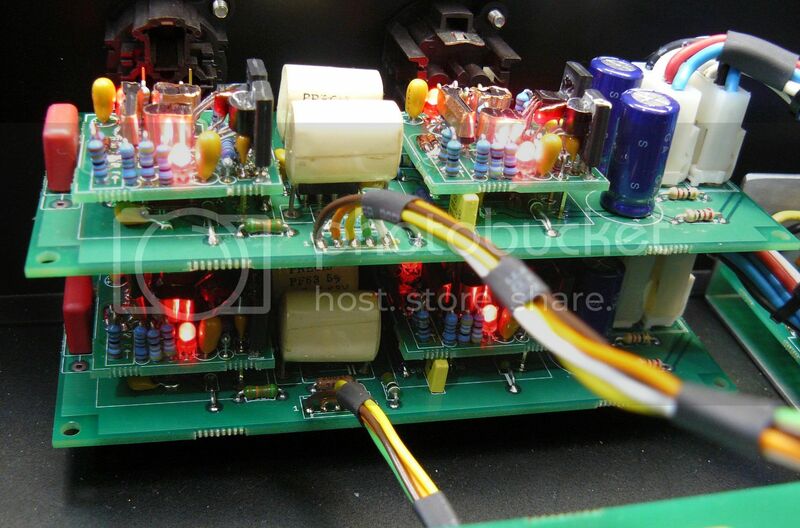 There came 2 PSU's boards with the kit, is it OK to use one PSU board for both channels? Sure. 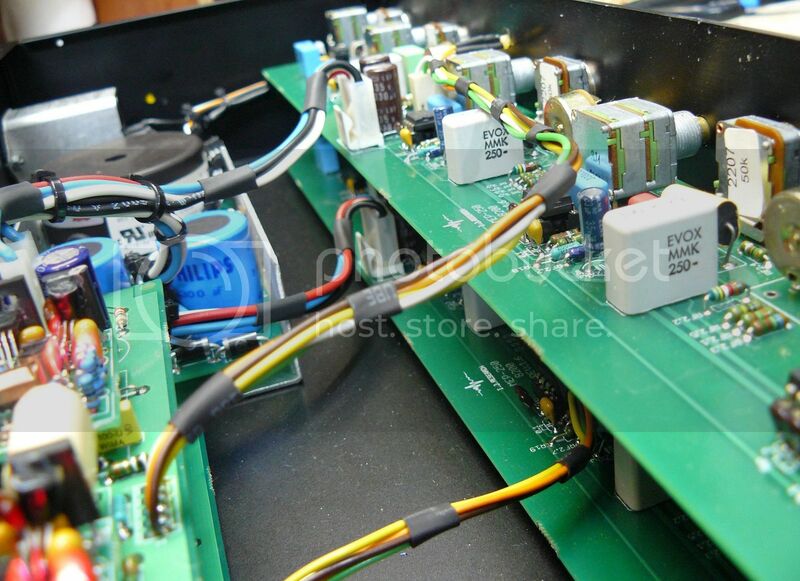 If you building two separate units, use 2 power supply's. I'm using OPA604's, do I just leave out the 150P cap or should I solder a bridge? anyone lucky finding the 4pole 3.81mm molex in europe? What about RS# 173-3082, 245-4538, 173-3284 they are labelled as molex KK 3,96 - close enough in my opinion? For the heatsink try farnell #1219493, a lot cheaper since igors recommendation is shipped from the us. I can't find the 3.81mm Molex connector either, but I think that screw-terminal blocks will work ok here - e.g. farnell #1727036. I picked up the 3.81mm molex connectors today at stuut en bruin, a local electronics store, they had 'm in stock. Just wondering about the purusha case and IO board, it looks like the XLR's are not going to fit on the board and then mounted to the rearpanel. The holes in the panel are wider then where the connectors are supposted to be mounted on the board. I don't have my connectors in yet (backorder at RS) so i'm not sure but looks like it.. I used 10p instead of 12 pf myself, i don't think that would be a problem indeed. Looks like PCB mounting the XLR's will not work with my case either. (also a Tat case). No big deal, though. No big deal either, i'll just go with straigth solid copperwire (1.5mm) to connect the boards so they can 'hang' on the wire. Do they actually fit on the I/O Board? The spacing seems very narrow? But thanks for the link! 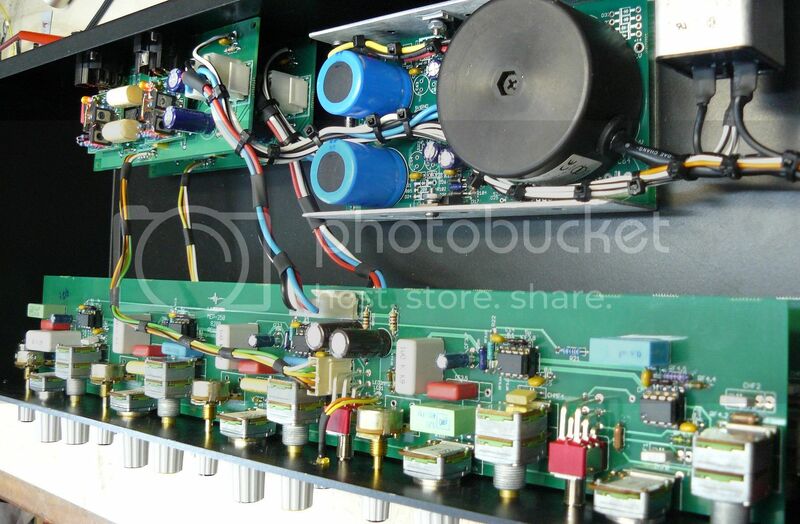 What about using one PCB mount Neutrik and one off-board? Would look neater, I think space is also an issue when soldering copperwire. Hi, can you explain me what's the deal with Neutrics? everything fits 100%...Just see pictures! I finally found time to check my case + i/o board - they seem to fit perfectly, i haven't bought the connectors yet, but the mounting distance seems about right. I have tested mine, and while the specified XLRs (from the BOM) fit the I/O board, they don't fit the cutout length between the 2 XLR holes on Tat's case. There is probably 5-10mm difference (I haven't measured it) Also, the cutouts for the XLR holes are to be too big. The diameter of the plastic XLR sockets (that fit the I/O board) is slightly smaller to the standard metal neutriks (21? as opposed to 24?) Consequently the plastic neutriks "screw" terminals don't line up. Even if you try to put just one XLR in, you cannot screw it at both mounting points. They do mount the standard metal case XLRs perfectly. My theory here (I'll wait for Tat's reply) is that somehow these are the "generic" 2 RU panels for other 2 RU projects, possibly forgetting about the special cutout diameters and the different length. I'll post pics if it helps anyone. I've got about 5 different tat cases flying around, and each back panel is slightly different, I would assume that he sent out some "wrong" back panels. My mounting holes are too small for "regular" neutriks, and the spacing looks good as well. Ghengis and I must have the same back panels; if I mount the XLR's on the PCB they won't fit the case. No need for bridge. Just leave them out.